It still gets all the Land Cruiser goodness. People love SUVs and crossovers, but not everyone uses them to haul a litter of children and a couple of pets. At this year's Los Angeles Auto Show, Lexus has debuted the two-row LX 570. The updated model ditches the third row, helping expand cargo capacity by 15 percent without the need to deal with removing the seats. The two-row model comes in a single mono-spec trim, dropping the base price to $86,175, which is $5,000 less than the three-row model. The mono-spec trim of the two-row LX means customers only have the choice of exterior and interior colors. Customers still get a full-leather interior, four-zone automatic climate control, power tailgate, roof rails, a moonroof and 20-inch wheels. Parking assist, blind-spot monitoring and rear cross-traffic alert are all standard. Cameras on the outside help show blind spots when parking or off-roading. The new model also comes with Lexus's Enform Safety Connect service for 10 years. Customers can call in case of an emergency anytime day or night. The new variant still comes with all of the Toyota Land Cruiser-sourced goodness as the standard LX 570. 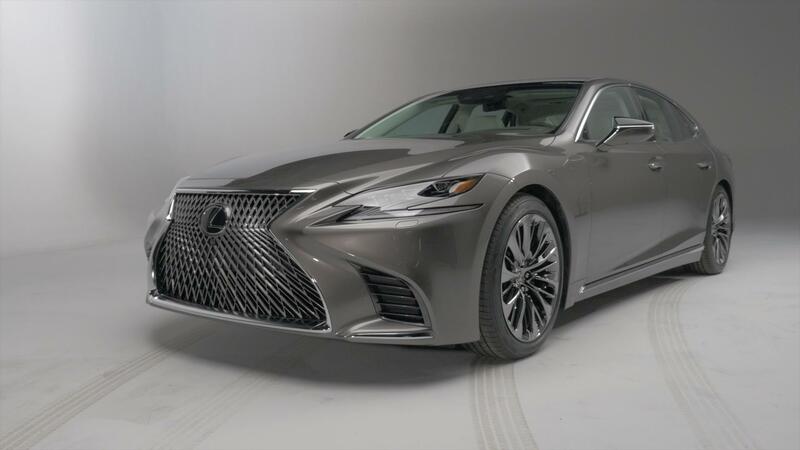 That means a 5.7-liter V8 making 383 horsepower and 403 pound-feet of torque, giving the Lexus a 7,000-pound tow rating. The body-on-frame SUV comes with full-time four-wheel drive and Lexus's Active Traction Control system and Multi-Terrain Select system to handle wheel slip on various road surfaces. Other off-road systems include crawl control and hill-start assist. The two-row 2018 Lexus LX 570 goes on sale next year.